Mars released the M&M'S Super Bowl 2012 Ad in the Big Game. As reported in December, Mars will this year promote M&M's in their Super Bowl ad. The last two years Mars ran Snickers Super Bowl Ads with great success. Mars unveiled the sixth M&M's character, Ms. Brown, in the M&M's Super Bowl 2012 Ad. 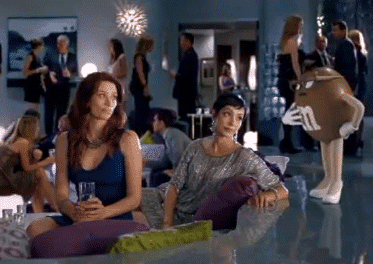 Watch the M&M'S Super Bowl 2012 Ad below. See also Neil Patrick Harris unveiling of the M&M'S Ms. Brown Statue earlier this week.